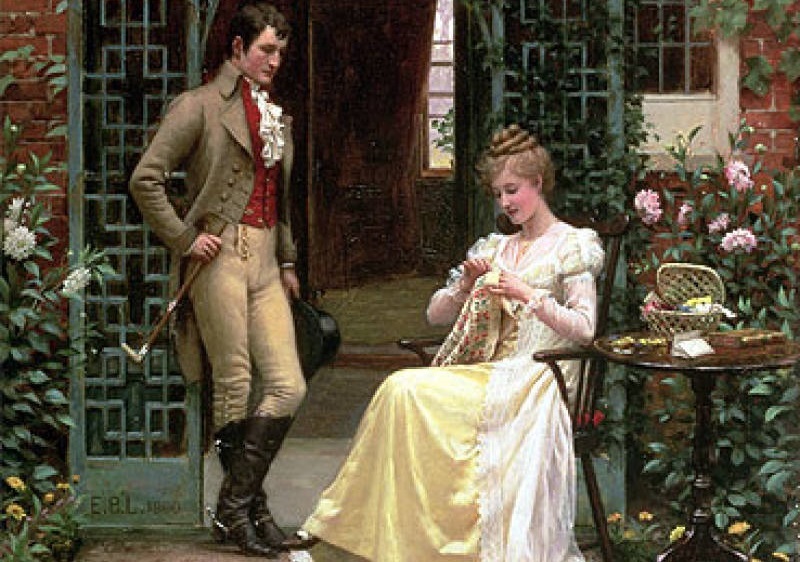 Detail from On the Threshold (of a Proposal), 1900, oil on canvas by English painter Edmund Blair Leighton (1852–1922). Click on image to see full painting. Courtesy of Wikimedia Commons. In 1895 Edith Bronson, an American living in Venice, married an Italian count. 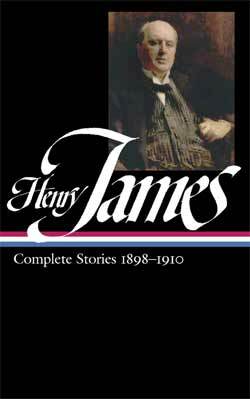 The young woman’s mother was a friend of Henry James, and the circumstances of the affair gave him an idea for a story, which he jotted down in his notebook. His family would give her, first, no sign whatever—his mother wouldn’t write to her: they being Florentines de vieille souche [of old stock], proud, ‘stuck up,’ etc. They demanded that she should write first—make the overture. She brought a fortune; she brings, in short, almost everything. But she consented—she wrote first. One can imagine a case in which the Girl—an American Girl—wouldn’t: would have taken her stand on her own custom —her own people—that of the bride’s being welcomed, always, by the mother, in the family into which she is to enter. . . . 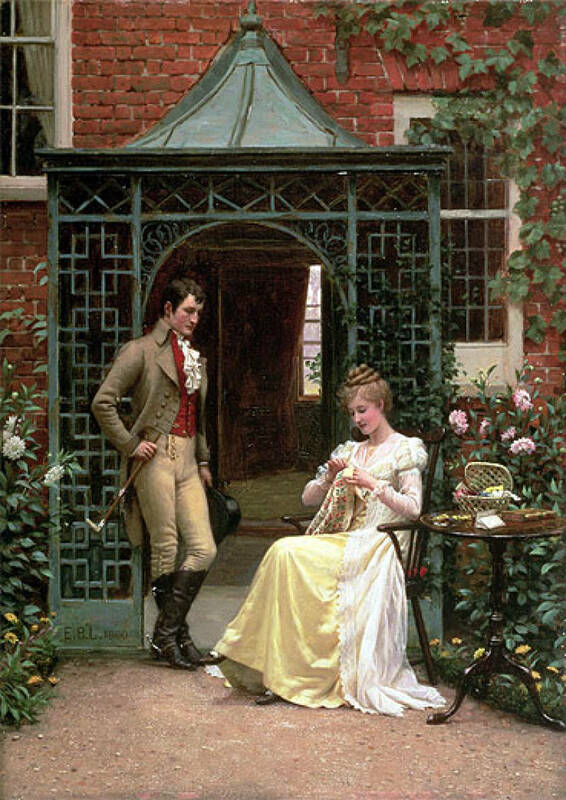 The resulting story, “Miss Gunton of Poughkeepsie,” would showcase themes that appear often in James’s fiction: the opposition of American democratic notions to European aristocratic traditions, the clash between the brashness of the nouveau riche and the stodginess of the nobility—with both the generation gap and the battle of the sexes thrown in for good measure. Lily Gunton, a young American woman, demands much of the Italian prince who courts her: at the beginning of the story, she has compelled him to pursue her clear across Europe and, if necessary, he will have to continue on to America to prove his love for her. But the ultimate test for the young couple arrives when she is asked to bow to convention and request an audience with the prince’s mother. An inordinately wealthy heiress who is able to “draw” unreservedly on her future inheritance, Lily expects to be invited. James’s willingness to accommodate editors and write fiction that might be more commercially appealing was fueled in part by financial anxiety; at the end of the 1899, he took out a mortgage to purchase Lamb House in Rye, England, for $10,000. “If ever there was an ‘economic motif’ in his writing, it existed during these weeks,” notes his biographer Leon Edel. James hired a new agent, James Pinker, and wrote a story or essay nearly every week during the winter of 1899–1900. It was at this time that he finally went back to that idea in his notebook and wrote “Miss Gunton.” He ended up being paid for the story four times that year: when it first appeared in the British Cornhill Magazine, then in the mass-circulation New York publication Truth, and finally as one of the dozen stories in the dual, cross-Atlantic editions of his new book, The Soft Side. Now fifty-six years old, he wrote excitedly to Pinker about “the germs of a new career,” and that winter marked the beginning of one of the most fertile decades of any American writer. “It’s astonishing what you take for granted!” Lady Champer had exclaimed to her young friend at an early stage; and this might have served as a sign that even then the little plot had begun to thicken. . . . If you don't see the full selection below, click here (PDF) or click here (Google Docs) to read it—free!